Get the advantage of working with two REALTORS®. They say that two is better than one, let us prove that theory to you. 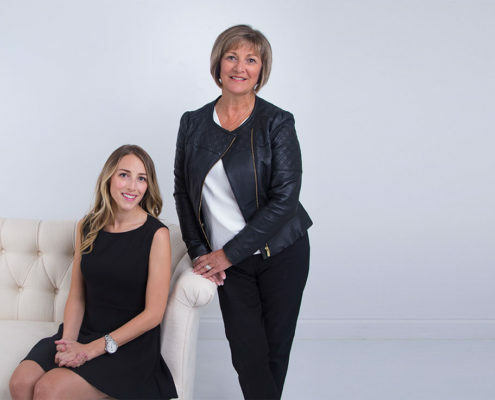 By working with us you get the advantage of two real estate minds working together to help you buy or sell your property. WE’RE FUN TO WORK WITH. WE PROMISE. We absolutely loved working with Wendy and Fiona. They were very helpful and patient with us during the search for our new home, and they sold our house very quickly. Their real estate expertise and professionalism was evident throughout the process. We highly recommend using them for your real estate needs. Thank you ladies! Wendy has helped me with real estate purchase and sales over the years. She is very professional and competent. She will do a great job for you. Excited to see her and Fiona working together. What a great team! Wendy was excellent to work with; very knowledgeable and professional. Wendy is well known to us through our previous transaction, and again we are very happy with her services. She’s gone out of her way to get us relevant information, patient, we don’t feel pressured working with her and we would highly recommend her to others.